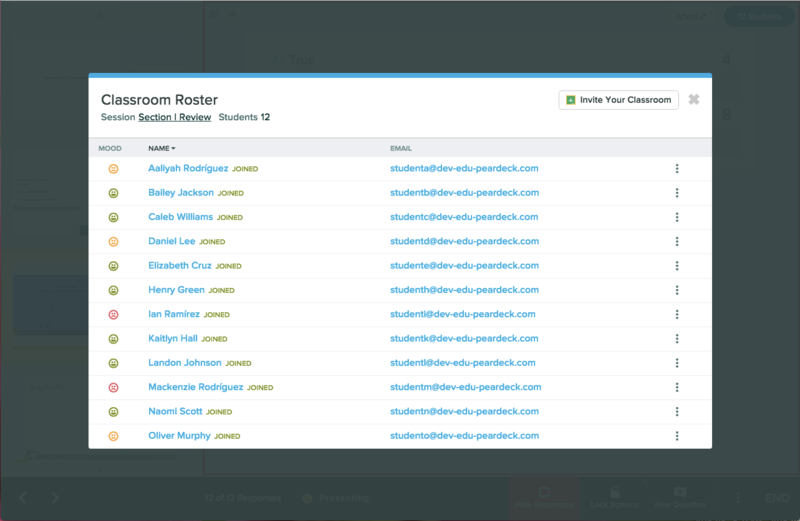 When you activate Classroom Climate, you get a new layer of information to help you engage your students and teach to the whole person. Here are some ways to use that data. Wait! What is Classroom Climate, and how do I turn it on? 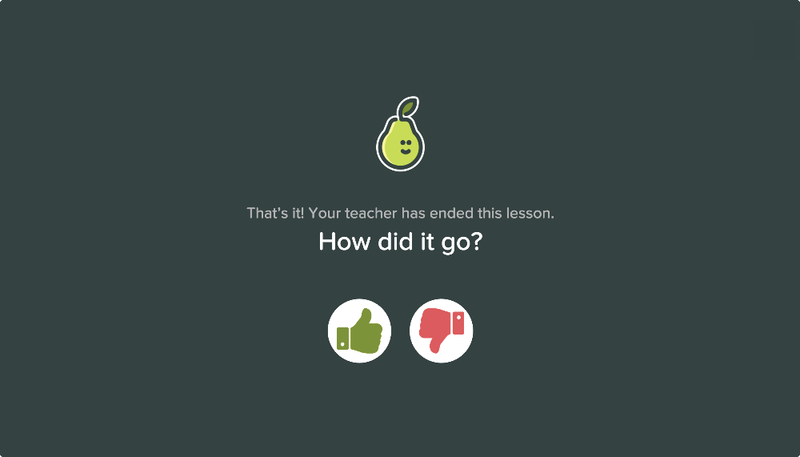 When you start presenting a Pear Deck lesson, students will join your session as always. 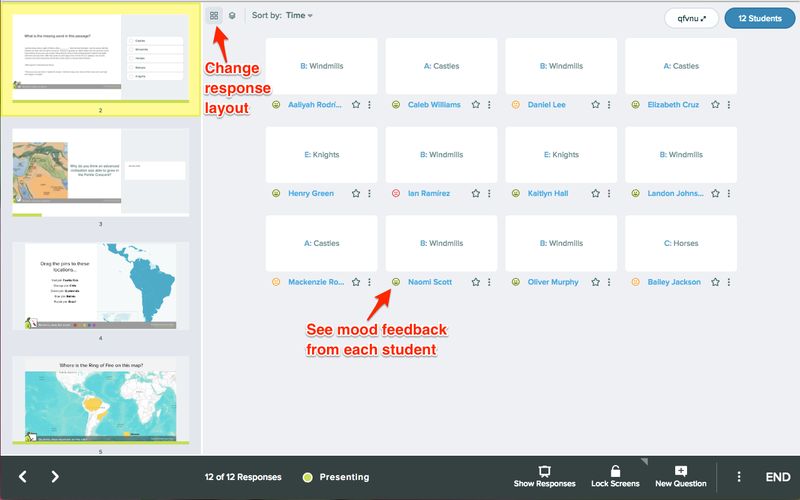 But if you have turned on Classroom Climate, Pear Deck provides you students a quick prompt on their Student View to indicate their mood. 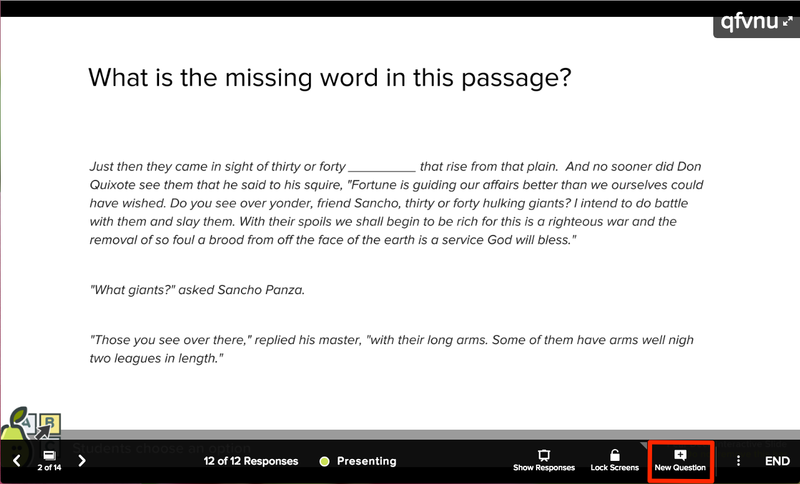 As the teacher, you can see responses to this prompt in the private Teacher Dashboard (a Premium feature). The response layout can be adjusted in the top left corner of the screen. 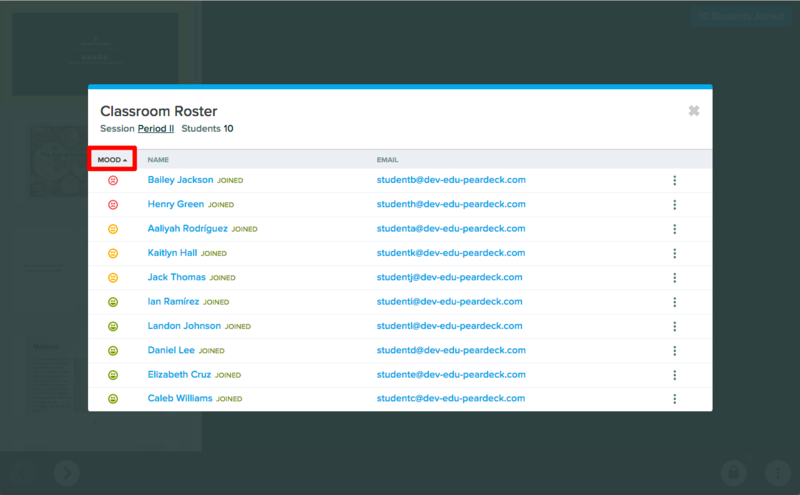 ...to see exactly who has joined your session and get an instant heat map of how students are feeling! If you want a quick look at who's not doing so well, you can sort by Mood with the sort order drop down. Here are some ways this data might impact your lesson. Let's say most students report being content and there are just a few sad faces in the room. Probably no great change is needed, but you can keep a closer eye on the students who reported feeling bad. They might be less eager to participate, and it might not be a great day to call on those students or put them on the spot. Let's say a high percentage report feeling sad. This might have a strong impact on how well your lesson goes. It might be worth it to pause. If most students aren't in a space where they can be receptive to information, then maybe it's best not to plow ahead. Instead, you could check in with the group. If you are concerned or curious about the mood data, hover over the Navigation bar on any slide and click the New Question button to open a new question slide. In the new menu, choose a Text question. Then, verbally prompt students by asking something like,"What made you choose the face you chose?" Maybe something's going on in the student body that needs attention. Or perhaps they're tired because they have a big test next period and they need a kind of pick-me-up. Even if you proceed with your lesson, you can be sensitive to their emotional state and potentially alter the tone or pacing. 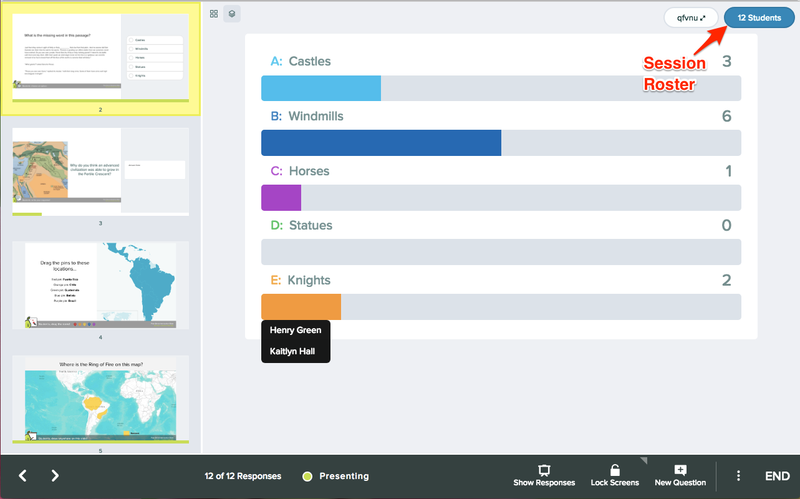 When the lesson is over and you are ready to collect feedback from students, be sure to end the session with the More Actions (3-dot) menu or the END button. 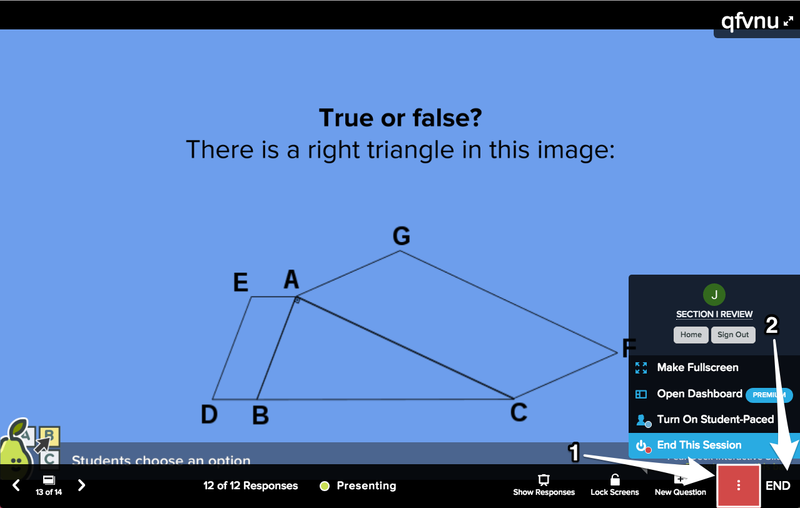 Then, Pear Deck will drop a question into the Student View that says "How did it go?" Students can select a thumbs up or thumbs down. Students will have an hour to respond before the poll closes. With this data, you can get a quick sense if students like the lesson and felt engaged by it. We have intentionally left the polling question broad to make sure it fits all different kinds of classes. Feel free to give students more specific direction like "Tell me with the thumbs up or down, did you think this lesson was engaging?" or "Do you think you learned something from this lesson?" 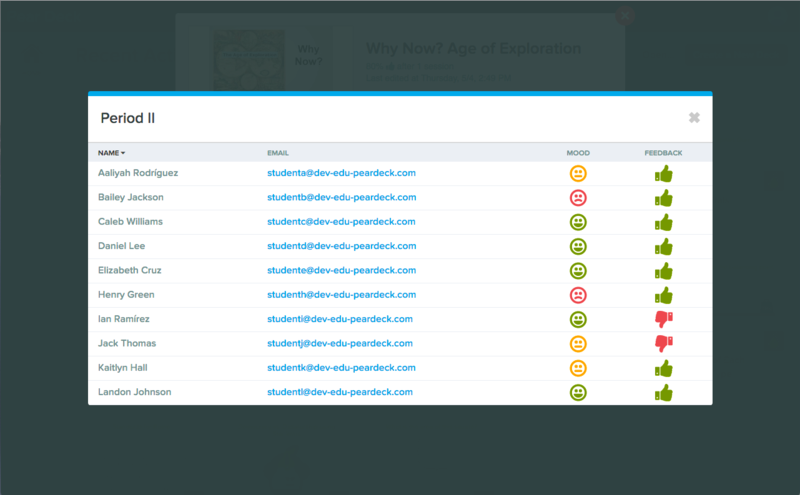 With this data you can scan for the most engaging lessons and try to emulate them later. Here's how you can find this information later. 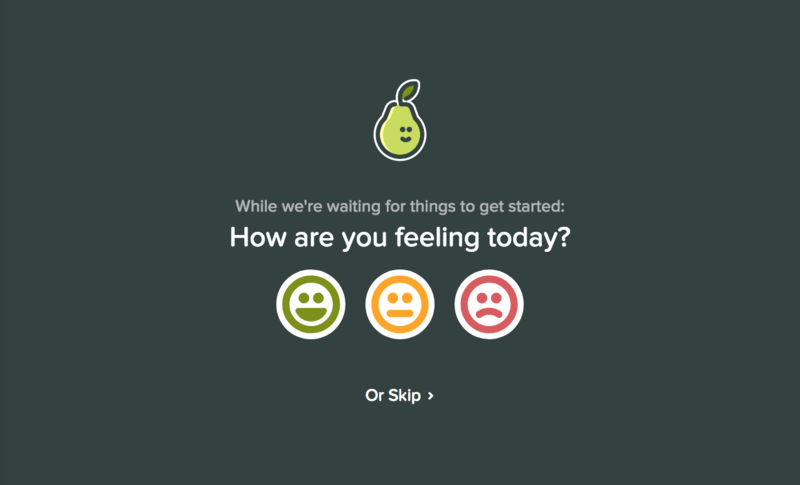 Open your Pear Deck Home screen. Go to Recent Activity or to Sessions. Click on a Deck title (File Name) to see all of its Sessions. Click on either the student attendance number or the thumbs up rating. You might find that many of thumbs down ratings came from people who also said they were not in a good mood, which makes sense since mood has a big impact on ability to learn. But if a lot of students who said they were in a good mood but also gave a thumbs down to the lesson, perhaps the lesson wasn't meeting the intended mark and should be altered before using it again. If the same student is repeatedly reporting a bad mood and rating the lesson with a thumbs down, this might be something to pay attention to. If that student is an emotional state each day that prevents them from learning, some kind of intervention might be needed. Teaching social skills and emotional awareness is a huge job, and this kind of check-in is just one piece of it. For research on the importance of social and self-awareness, Teaching Social Skills to Improve Grades and Lives by David Bornstein is a good place to start!